Web Real-Time Communication (WebRTC) is a web based open source application supporting browser to browser real-time communication through a number of devices such as computers, smartphone, smart TVs and tablets. WebRTC is compatible with HTML, TCP/IP and HTTP protocol and uses multiple codecs for smooth transfer of voice, video, and data. The demand for WebRTC is expected to increase in both telecom and unified communication applications in the coming years. Due to its open source nature, the demand for WebRTC is expected to increase among application developers wherein WebRTC acts as a form of revenue generation by enhancing end-user experience. In the coming years, WebRTC solutions are expected to see an increase in the field of communication. This research report provides in-depth analysis of the global WebRTC market for the period of 2016 – 2025, wherein 2016 is the base year and 2017 to 2025 is the forecast period. Data for 2014 and 2015 has been included as historical information. It also provides the comprehensive analysis of WebRTC market based on solution, platform provider, end-use industry and geography. The global WebRTC market is categorized based on solution types into voice, video, and data sharing solution. Furthermore, the research report provides the complete insights into different WebRTC solution providers through platform provider segmentation which includes browser platform provider, mobile platform provider and unified communication platform provider. The End-use industries for the global WebRTC market are telecom, information Solution, Health Care, e-commerce, education, media & entertainment, BFSI and others (energy and transportation). The report analyzes each of these segments for various geographies considered under the scope of the study. 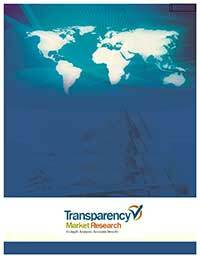 Based on geographical regions, the report segments the global WebRTC market into North America, Europe, Asia Pacific, the Middle East and Africa (MEA), and South America, which are analyzed in terms of revenue generation. North America is further segmented into the U.S. and Rest of North America, while Europe is divided into The U.K., Germany, Commonwealth of Independent States (CIS), and Rest of Europe. Asia Pacific is subdivided into Japan, China, Australasia, and Rest of Asia Pacific. Also, MEA is further segmented into Gulf Cooperation Council (GCC) countries, South Africa, and Rest of MEA, while South America is subdivided into Brazil and Rest of South America. The objective of this study is to understand the factors aiding the growth of the WebRTC market. The report further aims to identify various factors that are expected to support the expansion of WebRTC market in the emerging markets. The report also provides an analysis of the factors that are going to drive and restrain the growth of the WebRTC market. The report also discusses the prevailing market trends, prospective growth opportunities, and major strategies increasing the popularity of the global WebRTC market. The report provides the market estimates and forecasts for all the segments in terms of revenue (US$ Bn). Also provided in the report is the market positioning of key players in the global WebRTC market. The report also provides industry evolution and Porter’s Five Forces Analysis for global WebRTC market. The report also includes the competitive profiling of major players engaged in providing WebRTC solutions and services. Major business strategies adopted by them, SWOT analysis, competition matrix and recent developments have also been identified in the research report. The key market players profiled in this study include telecom API providers, aggregators and UCaaS service providers. The prominent providers who offer WebRTC solution include Twilio, Inc., Avaya, Inc., Sinch AB, Acano, Ltd. (Cisco Systems, Inc.), Dialogic Corporation, Oracle Corporation, TokBox, Inc., Cafex Communications Inc., Mitel Networks Corp., Telestax Inc., Genband US LLC and Quobis Networks S.L.